Jump wet and be safe! 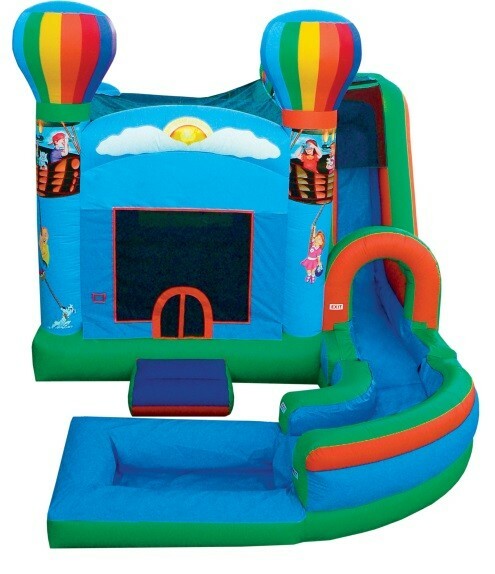 The floor of this combo bounce house is a NON-SLIP material as well as the entrance ramp. Inside there is a bounce area with a basketball hoop, then climb the steps and slide down the 32' slide lane. Then whip around the 90 degree turn and splash into the pool. May be used wet or dry.